Happy Saturday, friends!! You made it to the end of the week! I’m writing to you today from my kitchen counter, feeling so glad to finally be home after a whirlwind week of speaking at seminars throughout the eastern part of the United States. When I say whirlwind, I really mean WHIRLWIND week! I flew from STL to Chicago and then to Rhode Island on Sunday, presented an all-day session in Providence then rode to Bristol, Connecticut. I presented an all-day session there on Tuesday, then hopped on a plane to Indy … we arrived super late Tuesday night – or super early Wednesday morning! – and I presented my session there. Then, I rode to Columbus, Ohio Wednesday night, and presented my session there on Thursday. Thursday afternoon, I rode to Cincinnati, delivered my presentation on using technology in the Social Studies classroom, rode to the airport, flew to STL where my husband and daughters picked me up for the ride home! WHEW! What a week! I’ve been SO incredibly blessed by this opportunity and am absolutely ecstatic about the fact that I’ve been able to spend my spring break week sharing something I’m passionate about – using technology to enhance Social Studies instruction. I’m so fortunate to have been able to share these presentations with so many amazing educators, and I can’t wait to do it again! Even though I’m absolutely exhausted, I feel rejuvenated at the same time to go back into my classroom on Monday and try to continue designing an engaging learning environment for my students. Being with these great educators helped me remember my “why” for becoming a teacher. It’s not the money or the fame – we all know that, though – ha! It’s because I want to have a positive impact on the future through each of my students. 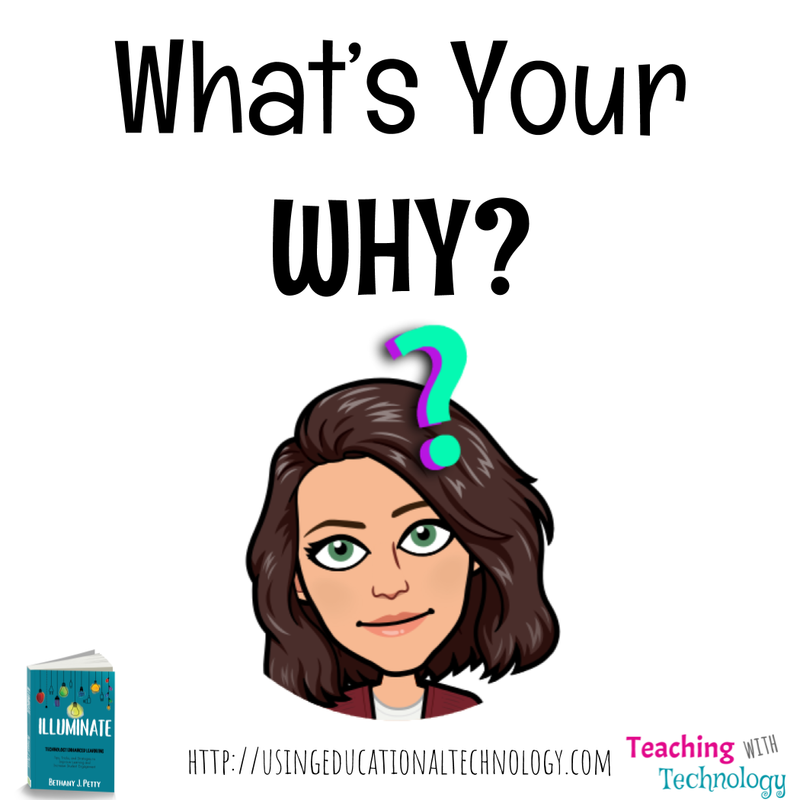 Here’s a quick video that I share at the end of my presentations to help teachers remember their “why” and also see why knowing their “why” (sorry for the “why” redundancy!) is so important. As you’re watching this video, pay attention to how the people around the man singing respond when he knows his “why.” Look at the impact he has on those around him when he knows and feels his “why.” How awesome is that?! When we know and remember why we do what we do, we have a greater impact on those we serve, whatever our path. I’ve been so incredibly fortunate during the past few weeks to attend great professional development workshops and network with some fabulous Social Studies teachers! Don’t you love when you get to learn with and from “your people”?! One of my (many) goals for this school year has been to increase my focus on vocabulary, especially in my Government classes. It was so great to hear other teachers talk about the importance of vocabulary instruction in their Government classes and what activities and strategies have worked with their students!When students think of Social Studies classes, they often think of history … content that they’ve at least been exposed to since they were knee-high to a grasshopper! Rarely, do they associate Government/Civics with Social Studies… which means that Government content can come as a bit of a shock to their system! Since Government is such a new topic for most of my juniors and is so incredibly vocabulary intensive, I’ve decided to (hopefully) help my students master the vast content through continuing to build content vocabulary knowledge, and provide more time for guided practice. By guided practice, by the way, I mean GAMES! Last Wednesday was the first “Vocabulary Day” my students experienced in my classroom. We focused on terms they learned in our first unit, as well as what they had been exposed to up until that point in our current unit. This is NOT something I have ever done in 8 years of teaching Government. After giving students time to review vocabulary for unit one by using Quizlet (they LOVE the matching game and trying to beat my score! ), we moved on to play Quizlet Live. Holy moly. Please tell me you’ve played this game with your classes! My students love it! I love it! It promotes mastery learning! It helps them review content vocabulary! It’s fabulous! How was Government Vocabulary Day received by my students, you ask? When students are working together with classmates to review Government concepts, competing for Bonus XP and still playing the game as the bell rings and they’re walking out the door, that’s a successful day! I’m thinking about creating a Government word wall … what do you think? How do you review content vocabulary with your students? Educational Technology & Politics: How things have changed! As a first year teacher in the fall of 2008, I was EXTREMELY excited to teach American Government classes during an election season. We were even able to turn on a classroom television to watch President Obama’s first inaugural address. Wow! Fast forward 8 years to the election of 2016. The availability of educational technology in my classroom and completely changed how I teach all subjects, but definitely, how I teach the election process. If you would have told “2008 me” that I would not only have a Twitter account or an Instagram account for that matter, and that I would be using social media to view updates AND INTERACT with elected leaders, I probably would have said, “hmm, ok,” and continued to sip my coffee. Seriously, though! Think about how much has changed in the political arena in just 8 years. If an elected government official does not have or doesn’t use a social media account he or she is considered to be out of the loop. One of my favorite questions to use as I preview my Executive Branch unit with my students is “Ronald Reagan was called the Great Communicator for which of the following reasons? a. because of his effective use of television, b. because of his effective use of radio, c. because of his effective use of a megaphone, d. because of his effective use of social media (Twitter, Facebook, Instagram).” The number of “d’s” I receive on this question is astounding! This is always an age check for me … President Obama is the only president to use social media to communicate! It’s strange to think of a time before Facebook was available for everyone – remember it debuted as a platform for college students? – or before Twitter was downloaded on every iPhone. These tools have become such an integral part of our daily lives over a very short time period! Please tell me that I’m not the only person who was initially quite confused at the following acronyms: #POTUS, #FLOTUS, #SCOTUS. Seriously. It took way too long for me to figure out these social media “terms.” In a world where hashtags and abbreviations are part of the vernacular, it’s hard to keep up! Not so long ago, I warned my students against using “texting lingo” on assignments, and now I REQUIRED it on this Tweet it Out activity! P.S. Don’t forget to download the May Printable Pack! Use the code May Printable Pack! Use the code teachingwithtechnology to get this great pack for FREE! Unless you’ve been living under a rock for the last year and a half, you know that this is an election year. Not only is this a Congressional election year, but this year, we are also charged with the enormous task of electing a new President of the United States – and leader of the free world. As a teacher, I feel that it is my job to not only guide my students through the content of my course (this is probably the smallest part of the teaching profession) but also to model for them how to be a productive and contributive citizen in our ever growing and changing society. Part of this goal is helping my students be cognizant of the political world, without interjecting my personal political beliefs and opinions. Wow, is that hard! However, teaching them how to think and not what to think is vitally important. Here’s where Countable comes into play. Countable is a FREE tool that presents information from the political world in bite-sized pieces of readable text that citizens can actually understand. From my limited experience, reading an actual bill passed by Congress is a tad like reading the King James version of the Bible…beautifully written, but difficult to digest. Countable presents high-profile bills being debated in Congress with not only a catchy title but also provides easy to understand perspectives on the bill from BOTH sides of the aisle. Countable aims to provide information from a non-partisan point of view, which is refreshing. For more information on their goals, editorial process and more, check out Countable’s website. When you create your FREE account with Countable, either via their website or app (iOS or Android) simply enter your zip code to find your elected representatives. Then, choose from a variety of issues and political candidates to follow. Receive alerts via email or through the Countable app when your representative or someone you follow votes or posts an opinion about an issue. AND…drumroll, please … Countable users can even share their opinion on bills with their Congressman! Countable will send an email to Senators/Representatives when a Countable user has submitted an opinion … this only works if you are logged in and have verified your email address 🙂 This feature is especially neat not only because Countable users can view their Congressman’s voting record, but also to view how their opinions line up with their elected representatives. 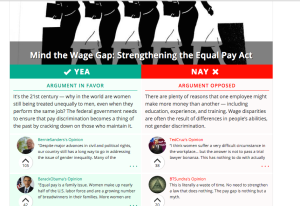 Countable also offers “Advocacy Widgets” for users to include on their websites that ENCOURAGE readers to interact with their elected representatives! How cool! Check out the widget on the right side of this page (toward the bottom) to interact with your Congressmen! Countable is obviously a great tool to use in your classroom. Encourage students to not only be aware of the political world around them, but also engage with their elected representatives and express their opinions. It’s pretty great. If you’re looking for a great tool to help your students stay updated on the workings of our government officials, definitely check out Countable!